Balkan & Croatia Travel Blog & Guide. We blog about the best travel destinations in Croatia, Slovenia, Montenegro, Bosnia and Herzegovina & many more countries! Though it's a cemetery, you get more of a park vibe here. Very well maintained and so peaceful to wander about - even with small children. 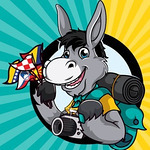 Best Kids Hotel In Croatia - Hands Down! This is Croatia's biggest carnival parade - and one you should add to your bucketlist! Rijeka Carnival gets 5 stars from us. Where to go in Croatia in 2019 - this is our list of places we bet you've never seen! These are the best of Russia - well, just a few! Fill your belly at these yummy establishments in Tirana.